The VIBES STUDIO is softly padded. 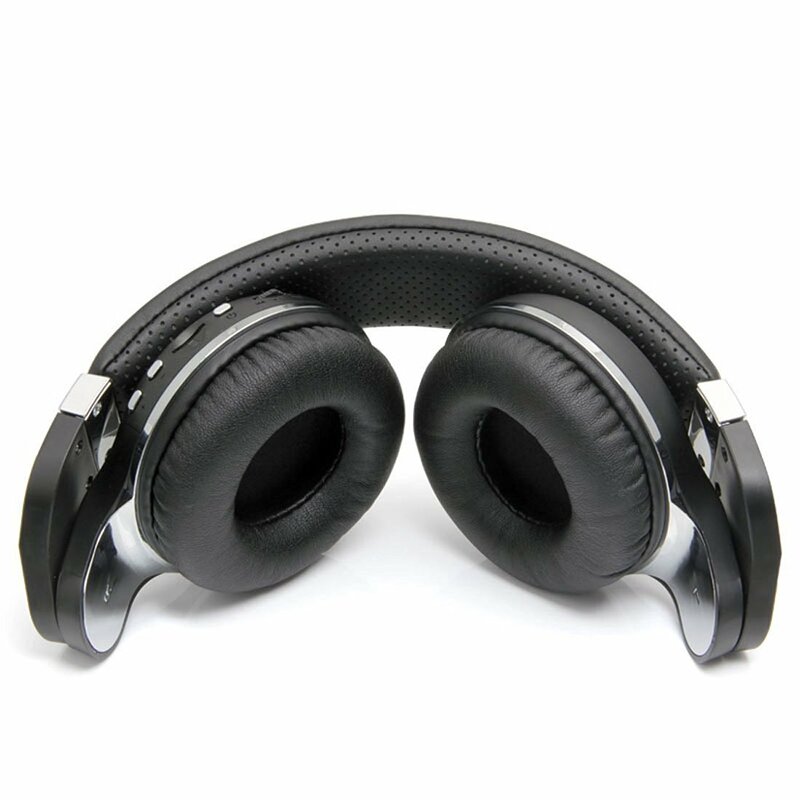 Its ear cups and headband are padded with soft foam and comfy leather. What you may not notice is the carefully designed headband. We have adjusted its size, based on an ergonomic design, to fit all head sizes. All we do is to bring you comfort because we know how you hate ear aches. Our engineers have spent two years in creating the 57mm ultra-big speaker for the VIBES by BLU, STUDIO, trying to bring you the best music experience. The VIBES STUDIO delivers varied music range, rich and strong bass, crisp and clear highs. You can also adjust the equalizer to choose your favorite music style, either on your device or by pressing both volume buttons on the headset. The VIBES STUDIO is rotary; you can rotate the ear cup up to 195°. This not only means saving more space and more portability, but one more cool thing: you can listen in one ear cup and just rotate the other one away. The latest Bluetooth version brings top speed, power saving, and enhanced transmission. It is a perfect match for 4G smart phones. 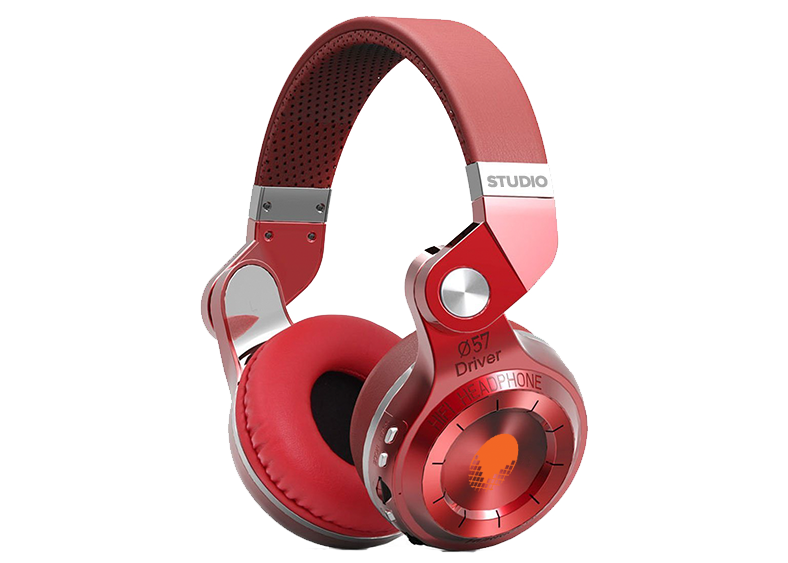 The VIBES by BLU, STUDIO works perfectly with most smart phones such as iPhone/Samsung/Blackberry/Motorola/Nokia/etc. 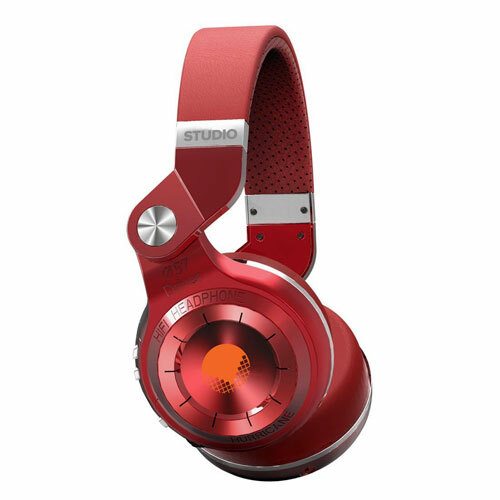 The VIBES STUDIO can last up to 1625 hours in standby mode, 40 hours music playing and 45 hours phone talk. Battery life is not an issue any more. No matter how long your playlist is, they'll survive until you have time to charge them. •	Never miss a call when enjoying music, its built-in microphone can bring you clear calls. No need to take off the headset, you can talk right through the headset. 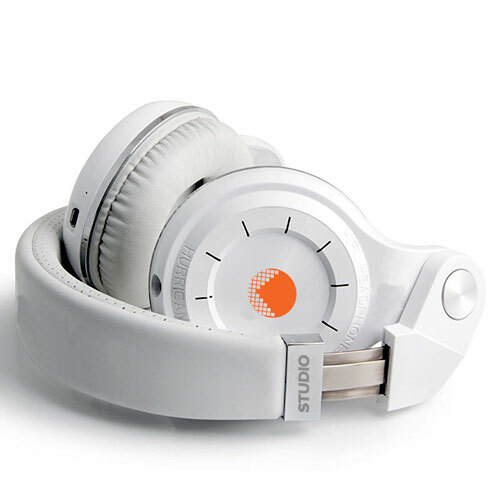 •	Connect up to two Bluetooth devices, instead of using two different headphones for each. •	Voice prompt of English/Chinese/French/Spanish, keeps you aware of the headset state. Specification: • Drivers: 2 x 57 mm • Frequency response: 20-20,000 Hz • Bluetooth version: 4.1 • Bluetooth profiles: A2DP, AVRCP, HFP, HSP • RF frequency range: 2.4-2.48 GHz • Operating distance: 30 ft. • Music playtime: 40 hrs. • Talk time: 45 hrs. • Standby time: 1,625 hrs. • Charging time: 2 hrs.